Our New England service area includes S.E. Massachusetts, Rhode Island, Connecticut, and New Hampshire. Folks looking to sell vehicles privately face numerous challenges. New England Car Buyers (NECB) can help to streamline the selling process. We are a car buying service. NECB takes a simple and direct approach to how we buy used cars. Even our website is simple and straightforward with no hype, no flash, no nonsense - unlike other car buying websites. Our message is easy - WE BUY CARS - We are not auto brokers. We will actually buy the car directly from you. Our process is hassle free, safe, gimmick free, and uncomplicated. 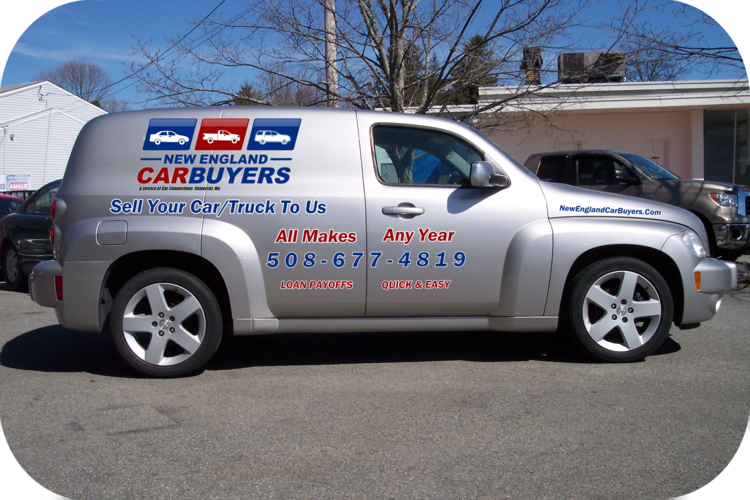 We're the best place to sell your car in the Southeast Massachusetts, Rhode Island, Connecticut, and New Hampshire area! Looking To Sell Your Junk Car? We Are Also Junk Car Buyers!